Recreational cannabis legalization is starting to spread across America and beyond, with Canada becoming the first G7 nation to make marijuana legally available in 2018. However, many people still hold concerns about cannabis and its psychoactive effects, arguing that it can make mental illness more likely, affect motivation, memory and more. But how much of this do we have evidence for, and how much of it is simply scaremongering from anti-cannabis forces who refuse to move with the times? In this article, we are going to frankly discuss the types of cannabis available today, and any benefits and potential risks that they pose. We’ll also explore why regular users may benefit from taking cannabidiol (CBD) supplements. CBD is a therapeutic and non-psychoactive cannabinoid found in marijuana, and CBD products have come from nowhere in the past few years and are now big sellers in the cannabis and hemp-based industries. There are two main types of cannabis: indica and sativa. The former provides mostly a ‘couchlock’, body high, while sativa strains are much more cerebral. Cannabis can also be split into three further types depending on the cannabinoid profile: high-CBD, high-THC and one-to-one strains. High-CBD strains are almost completely non-psychoactive and are generally used to make CBD oil extracts for medicinal purposes. However, the flower itself can be smoked or vaporized for relaxing and uplifting effects. CBD-rich strains are effective for managing anxiety, inflammation, pain and more, and are noted for having very few side effects. 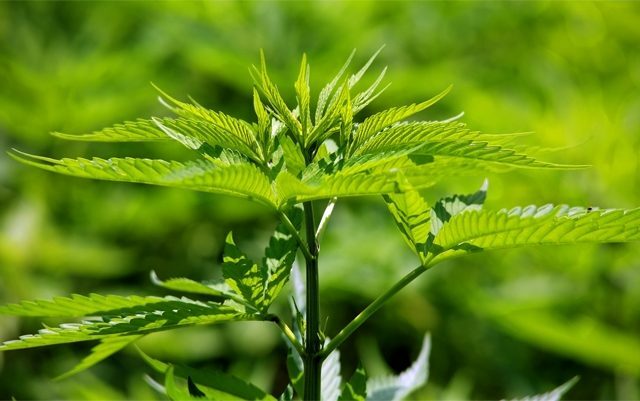 Hemp is also rich in CBD, and is used by Veedverks and other brands. One-to-one strains have an even ratio of CBD to delta-9-tetrahydrocannabinol (THC), the key psychoactive component in cannabis. These are arguably the perfect strains to maximize the therapeutic potential of the plant, as they have a balance of the two most important compounds, which helps to enhance the synergistic ‘entourage effect’ that whole-plant cannabis is renowned for. High-THC cannabis is mostly consumed by recreational users, who are fully focused on enjoying a psychoactive experience. Strains have become richer in THC over the years to cater to this demand, and this cultivation technique has led to a decline in levels of CBD, exaggerating the already one-sided THC to CBD ratio. High-THC strains may also help to treat post-traumatic stress disorder (PTSD), by essentially helping the patient to forget troublesome memories. However, THC is still a potent psychoactive substance, and with high-THC strains a recent creation, we should strive to understand its full impact. And there is limited research that has shown a possible link between high-strength cannabis and mental illnesses such as psychosis and schizophrenia. Moreover, chronic THC use appears to adversely impact the hippocampus – this is the part of our brain where memory and motivation is regulated. The dangers of THC abuse don’t mean that people shouldn’t smoke high-THC strains – it’s just something that cannabis users should be aware of. For instance, you wouldn’t go out and drink copious amounts of alcoholic spirits every night, because of the risks. But it’s perfectly fine every now and then, and there’s nothing to get overly concerned about. One-to-one strains are more in line with the old-school cannabis that was popular in the 1960s and 70s and provide a moderate, mellow high. With CBD having a balancing effect on the THC, these strains may be better for your overall health if you’re a daily cannabis user. But it’s certainly not all doom and gloom, and if you have been indulging in too much THC, a healthy dose of CBD can work wonders for the hippocampus, according to a recent study of long-term cannabis users. In large amounts, THC can have a neurotoxic effect on this brain region, causing atrophy or shrinkage. While a lot of stoners remain productive on weed, it looks increasingly likely that those who do experience motivation loss and memory issues from long-term consumption may do so as a result of physical neurological changes. Furthermore, we know that the endocannabinoid system influences cognition. However, the study demonstrated that daily 200mg doses of CBD for 10 weeks stimulates neurogenesis in the hippocampus, protecting cognitive function. We certainly don’t need anymore ‘reefer madness’, but the best relationship anyone can have with cannabis is a sensible one. Incorporating Kanna CBD every now and then helps to keep the vital balance between CBD and THC.